​Reto Kromer became involved in audio-visual conservation and restoration in 1986. From 1998 to 2003 he was Head of Preservation at the Swiss Film Archive, in charge of cataloguing, conservation and restoration of the film collection. Since 2004 he has been running his own preservation company, which provides comprehensive services that encompass the whole range of moving image preservation, using both photochemical and digital techniques. His team has restored over two thousand works and documents. He is currently a lecturer at the Academy of Fine Arts Vienna, the University of Lausanne and the Berne University of Applied Sciences. His teaches courses on the conservation and restoration not only of audio-visual content, but also audio-visual carriers, with a focus on motion picture film. 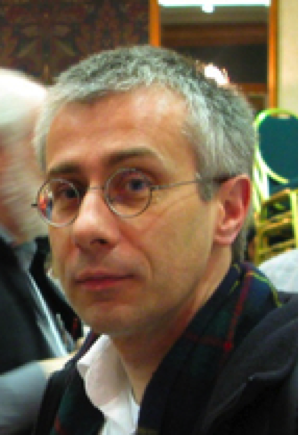 He has authored articles on moving image preservation for renowned journals and is actively engaged in the leading national and international professional bodies, including the Association of Moving Image Archivists (AMIA). Reto recently aided the Serbian film archives in managing a serious problem with mold growth in their film collections. Reto’s expertise in this area will prove invaluable to the difficult work ahead for the Albanian Film Archive.